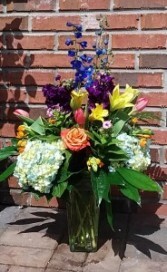 We know flowers bring joy, we have seen it again and again. 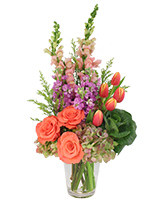 We celebrate with you every great momement in life with flowers. 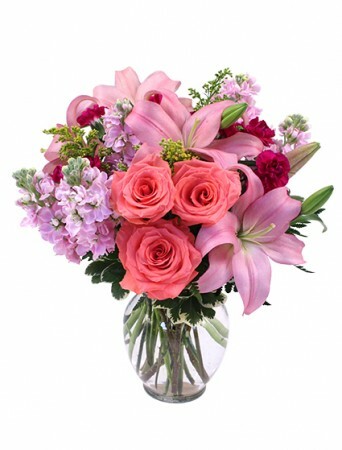 Let our designers create a large summer vase full of vibrant seasonal blooms like hydrangea,fragrant lilies, roses, tulips, and lots more seasonal favorites for someone you love. 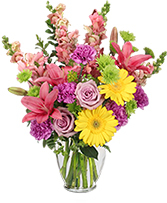 This arrangement is the perfect gift for someone in Melbourne, Indialantic, Satellite Beach, Indian Harbor Beach, or Viera.